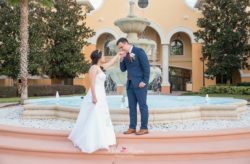 Bright & Bold Four Seasons Wedding - A Chair Affair, Inc. 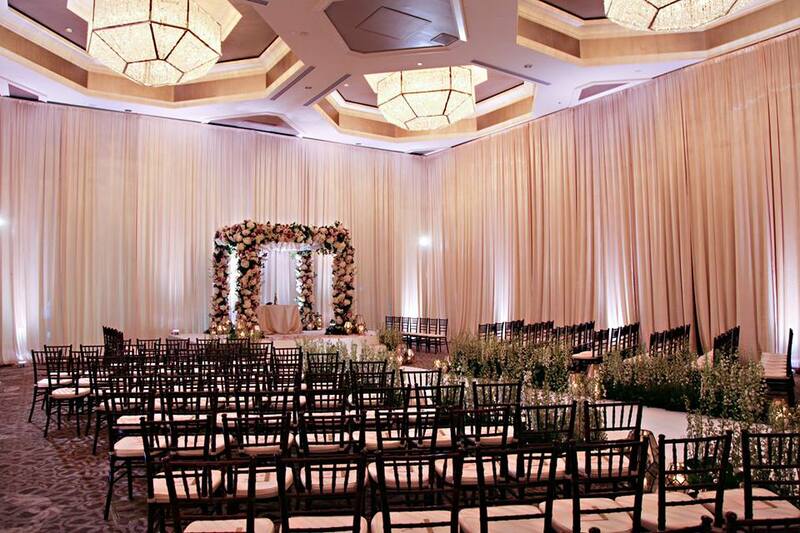 If you want to see a grand wedding done right, look no further! 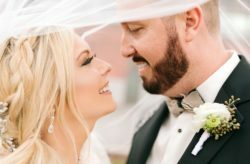 Ali and Sheret’s Four Seasons wedding and rehearsal dinner were both absolutely stunning without a single detail out of place, all captured beautifully by Tab McCausland! 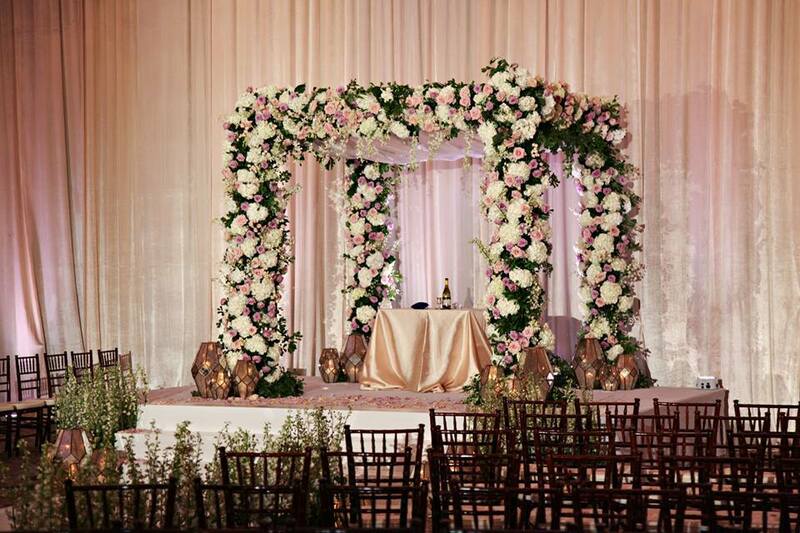 Lisa Stoner’s thoughtful planning and design were evident throughout the event, from the most elaborate design, down to the tiniest detail. 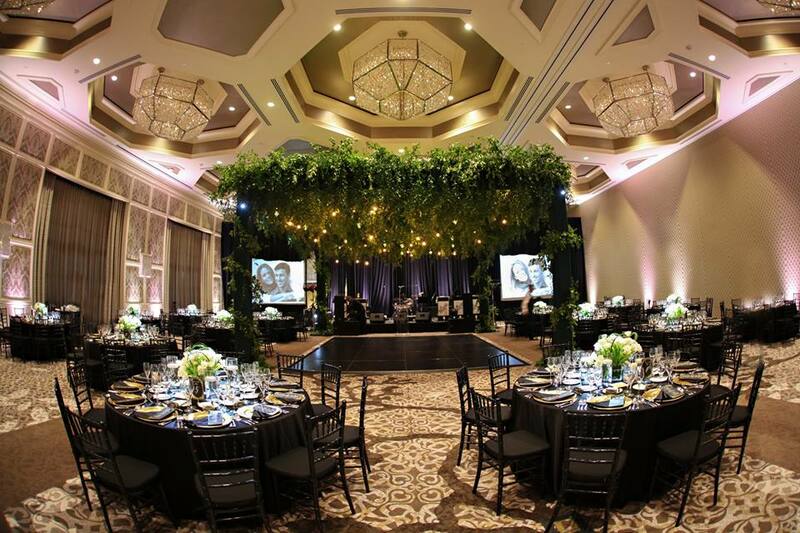 Fyerfly Productions’ soft lighting added the perfect romantic feel to the whole affair. 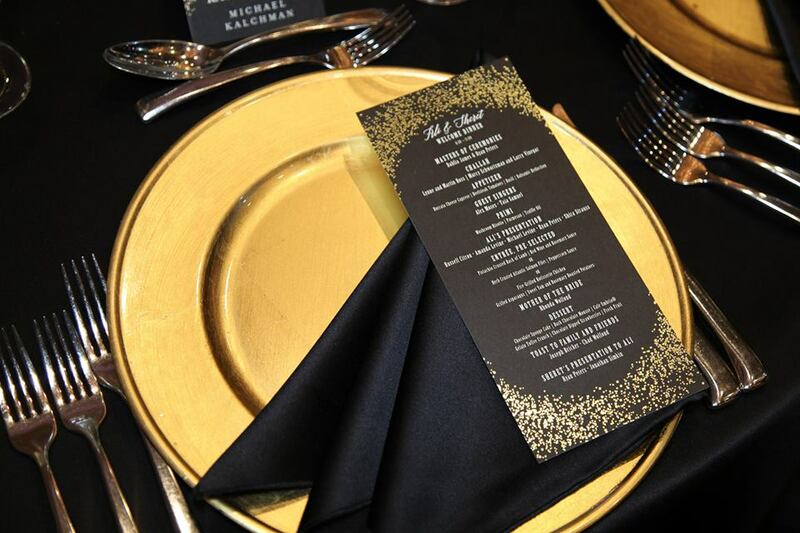 For the rehearsal dinner, we opted for a stylish look with lots of black and gold. 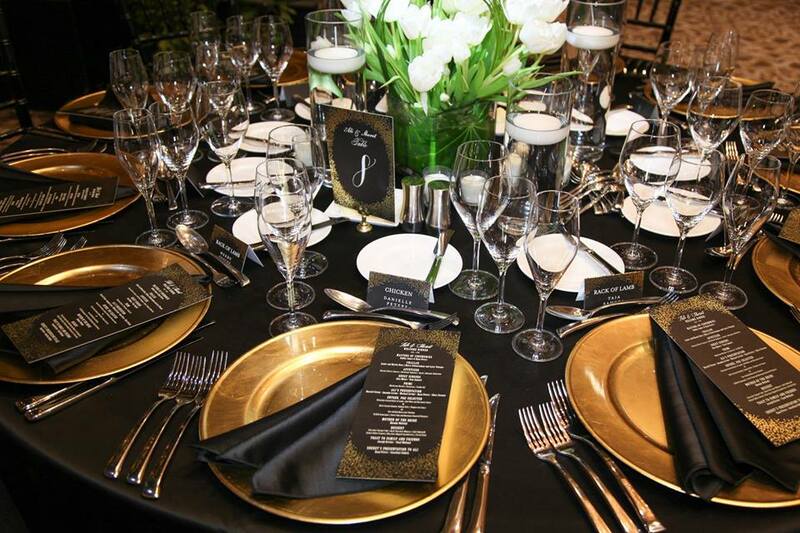 The tables were set with raven-black linens, pairing well with our gold glass chargers for a bit of contrast. 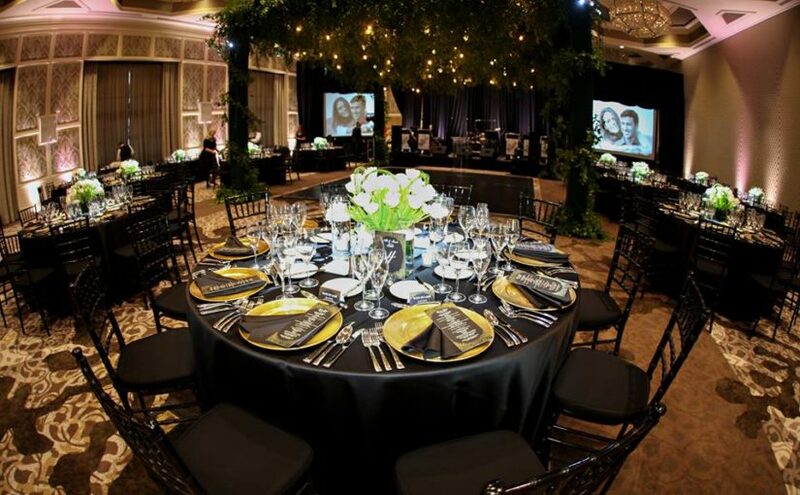 Matte black menu cards and our black Chiavari chairs finished off the look, the perfect Fall theme with a chic twist! 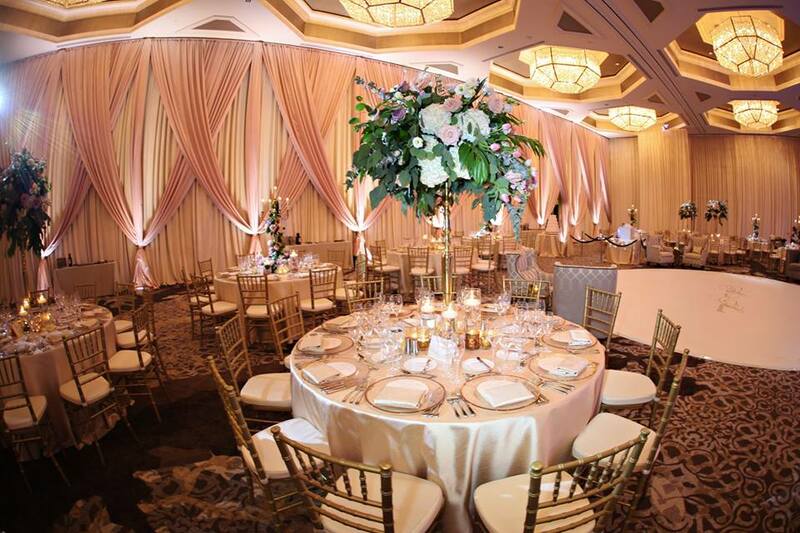 The day of the wedding, the ceremony was simply gorgeous with beautiful florals from Botanica, sparkling gold lanterns, and our mahogany Chiavari chairs. 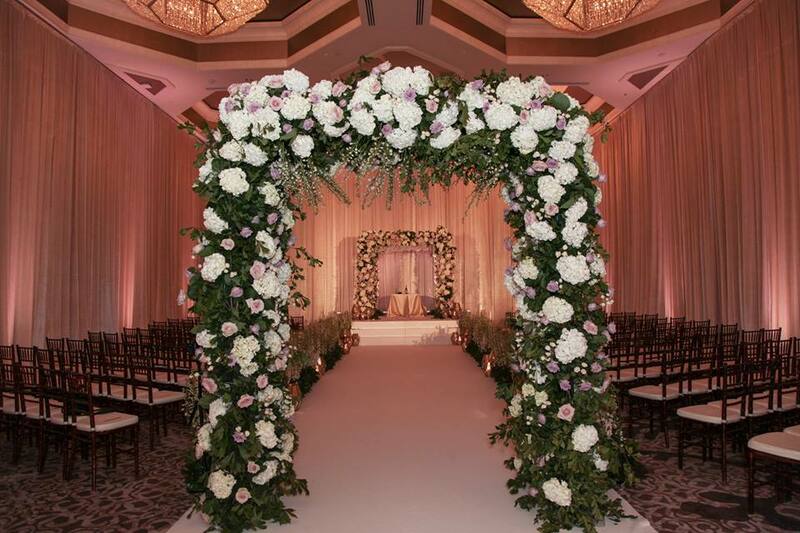 Oh, and just look at that floral arch! Isn’t it stunning? 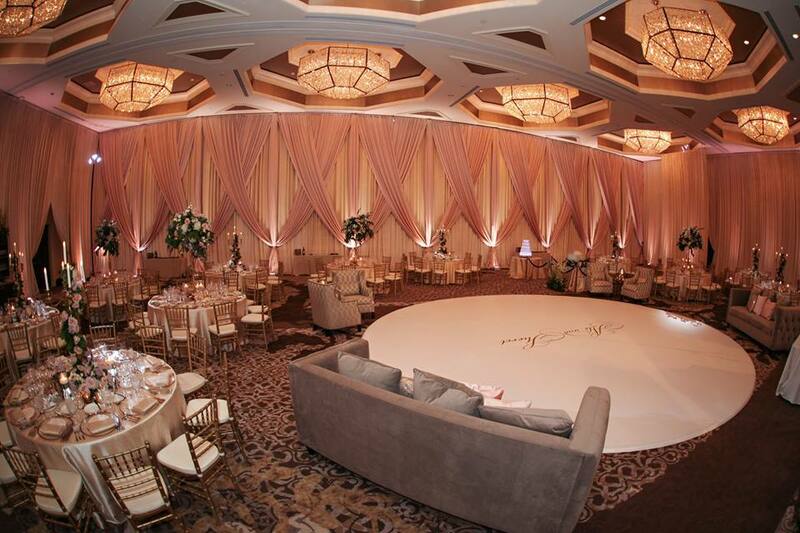 The reception featured a classic look with lots of gold sparkle and blush. 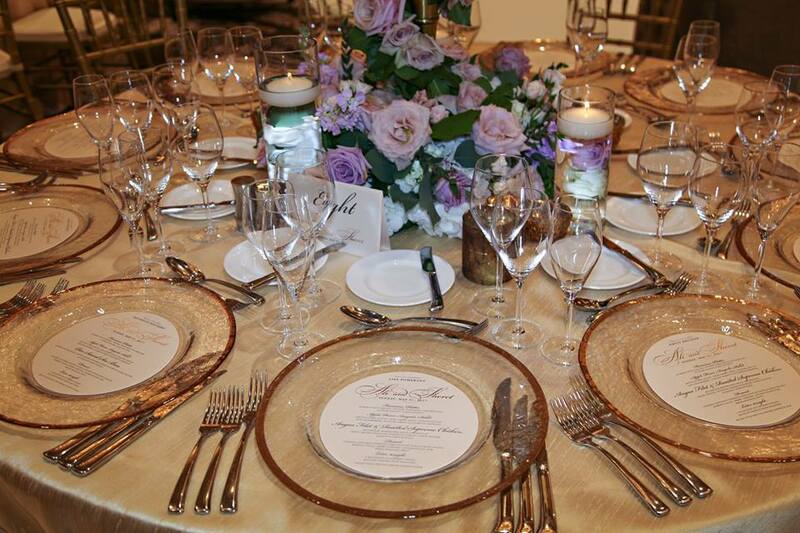 Tables were set with blush linens and topped with our gold rim chargers, a client favorite, and we completed the look with gold Chiavari chairs. 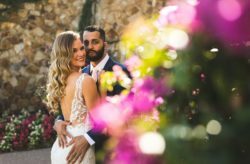 Ali and Sheret’s bold and beautiful Four Seasons wedding was just perfect, thanks to all the fantastic vendors who collaborated with us to bring such a vision to life! Congratulations again, Ali and Sheret!